Another first! The first Temper Mill Cut-to-Length Line designed for light gauge material is now operating. The first coils were processed on the new line in late 2013 and the quality of the product is as expected. Perfect! The surface shines like cold rolled and the flatness is laser quality. Production rates of the line far exceed those of the competitive processes that require several stops to correct shape (i.e. stretch) and make the cut. 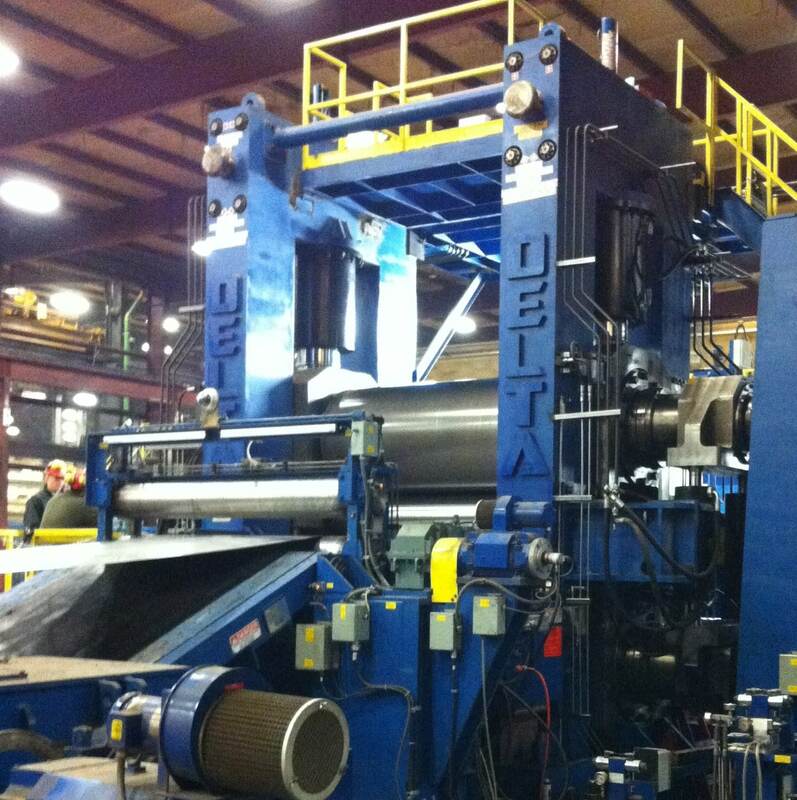 Delta’s new Light Gauge Temper Mill Cut-to-Length Line is less than 120′ in total length occupying far less plant space than competitive processes.